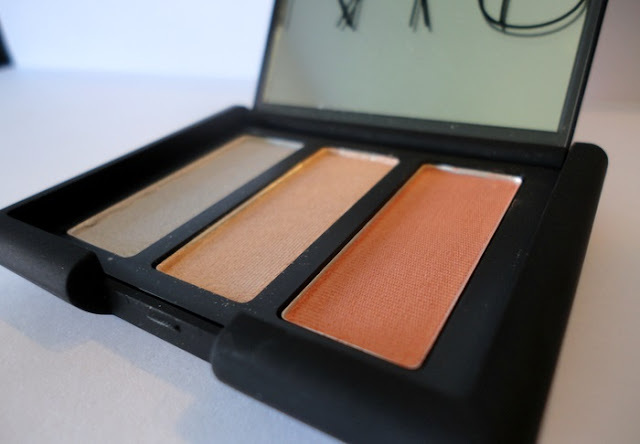 Today's guest review of NARS Ramatuelle eyeshadow trio is by Casey from Beauty101 blog who is a total beauty addict. You can find Casey on her blog and on Twitter. Thank you Casey, over to you! "My name is Casey, I'm 26 years old, and I've been in the beauty industry as a hairstylist and makeup artist for the last 7 years. I started my blog, Beauty 101, as a way to link up with other beauty enthusiasts while sharing my current obsessions with the world. "Total Beauty Addict" doesn't even begin to describe me." When NARS released the preview for their Summer 2012 collection the first thing I noticed was Ramatuelle, an eyeshadow trio that contains what NARS describes to be an icy silver, golden peach, and matte apricot . This trio just screams “summer” to me and the minute I saw it I knew that it would eventually be mine. I was finally able to get my hands on this trio last weekend and let me say, it was worth the wait! 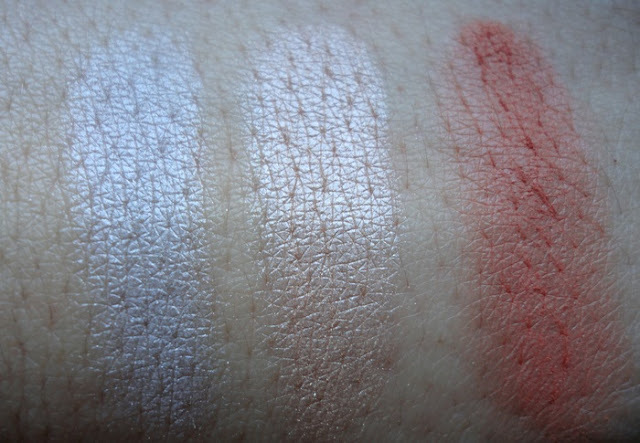 The quality of the shadows don’t disappoint and they are all up to par with other NARS products in the sense that they are extremely pigmented, easy to blend, and smooth to the touch. 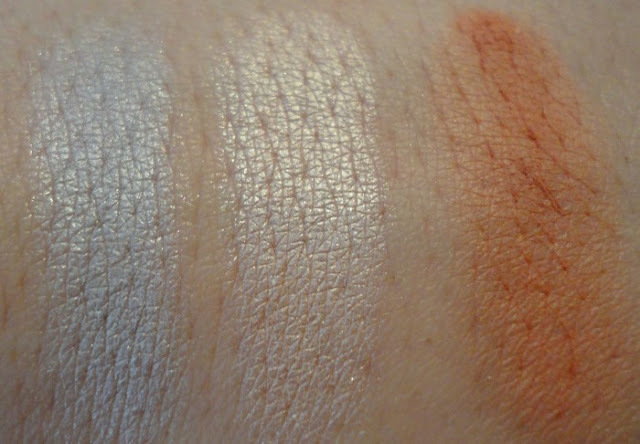 The cool tones of the silver and peach look great on lighter skin tones while women of color will appreciate the “pop” that the lighter shades give when paired against their skin. Women with blue eyes will especially look fabulous when wearing Ramatuelle since the apricot and gold shades will provide a nice contrast to the eye. When paired with an eyeshadow primer I notice that I can easily get 10 hours of wear with Ramatuelle and I have never noticed any creasing while wearing this product. To be fair, I’ve not gone longer than 10 hours so I can’t comment on the extreme longevity this product may give, although today I noticed that when I got home from work that my eyeshadow looked just as fresh as it did 10 hours earlier. Thank you for your in-depth review of the NARS Ramatuelle (l/e) eyeshadow trio Casey! For my Australian readers, you can get NARS from Mecca Cosmetica where the trios are sold for around $72AUD. If you'd like to read more of Casey's in-depth product reviews and beauty knews don't forget to visit her blog Beauty101. Ahh! Thank you again for this opportunity! Everything looks great! You're welcome Casey, thanks for an excellent post! Oh, this is just gorgeous! Great post! 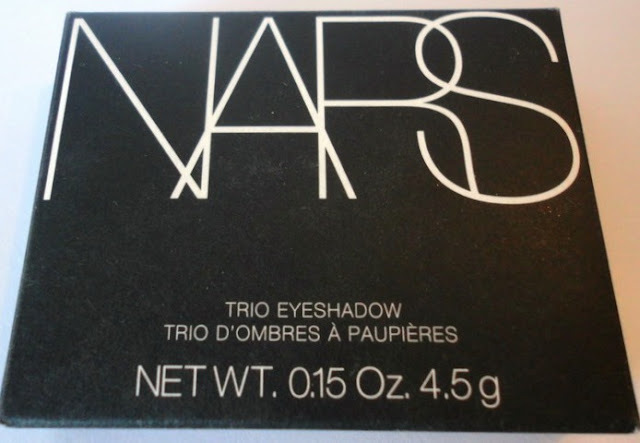 I've always been a huge fan of Nars. What a great post! im such a huge fan of NARS and I am totally guilty of not having enough of it! isnt casey the sweetest!! 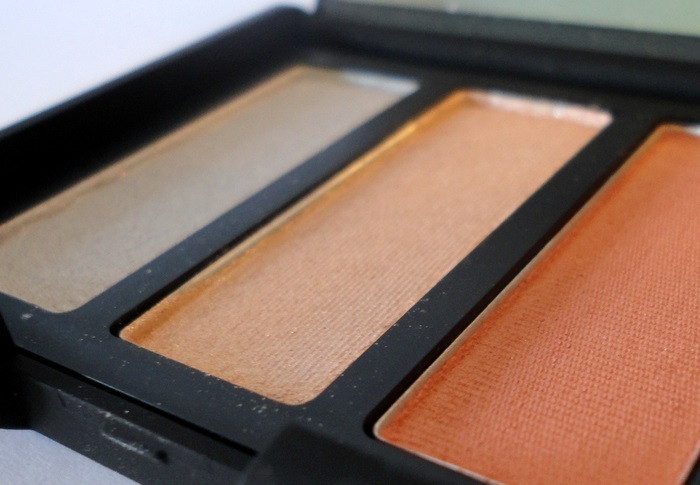 i love talking to her on twitter and im thrilled so see that she did a guest product review!! Lipstick Love - Illamasqua "Over"